2013 National Early Childhood Education and Care Workforce Census, commissioned by the Department of Education as part of a range of Australian Government initiatives designed to improve the quality of information used in developing and measuring early childhood policy and programs. 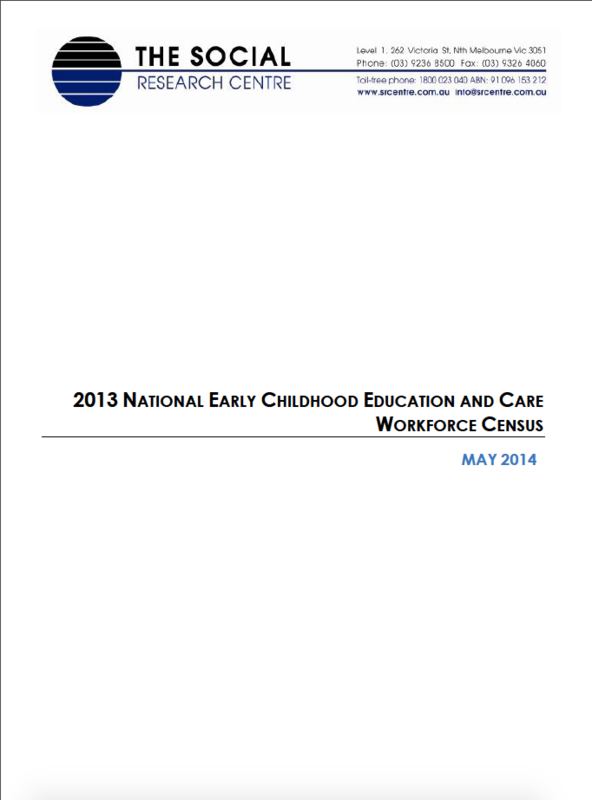 This report was developed specifically to address information gaps in existing administrative data sources, with respect other ECEC workforce, participation in and provision of preschool programs and children with additional needs in child care. The data presented in this census will help policy makers better understand the challenges of providing quality child care and early learning, assess the capacity in the workforce to meet future demand and formulate strategies to support early childhood development policies.